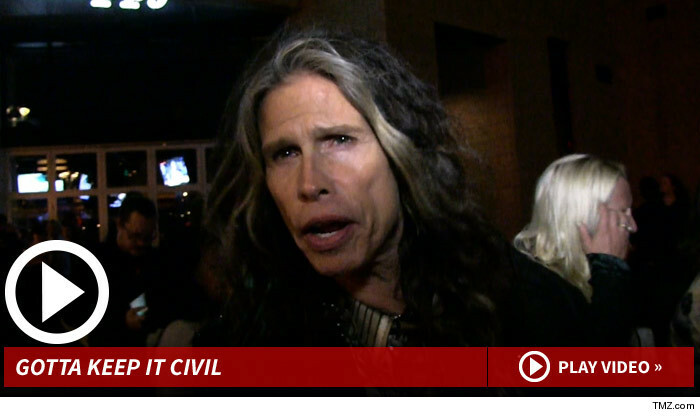 Steven Tyler‘s not trying to derail the gravy train that is Aerosmith … which is why he doesn't want to know if he gets slammed in guitarist Joe Perry‘s new autobiography. Check out the clip though — his explanation kinda explains how he and Joe have kept the band together for 44 years. On the other hand — Steven also said he loves bossing around his band mates … which should go over well during their next tour.